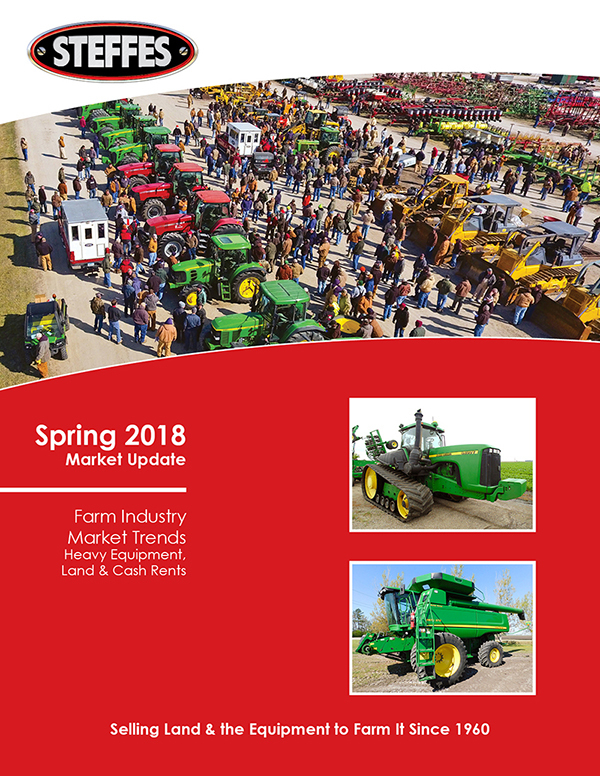 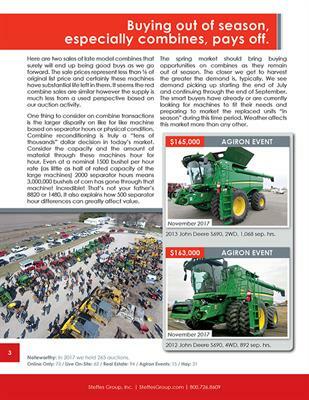 News Article - Spring 2018 Market Update - Steffes Group, Inc.
Our unique Spring 2018 Market Update shares our market experience as it relates to land and machinery in the world of agriculture. 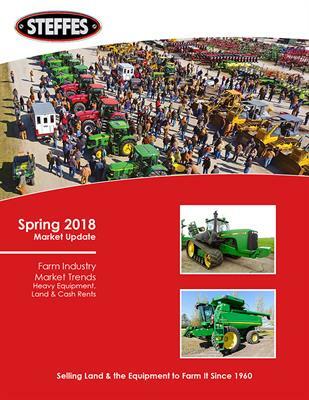 We will point out trends and observations plus suggest some guidance as to what lies ahead and perhaps a few predictions and analysis of what to expect in the upcoming markets throughout this new year. Operating in the auction world gives us first hand, real-time information on market trends, what’s hot and what’s not, and discover market movements as they happen first. 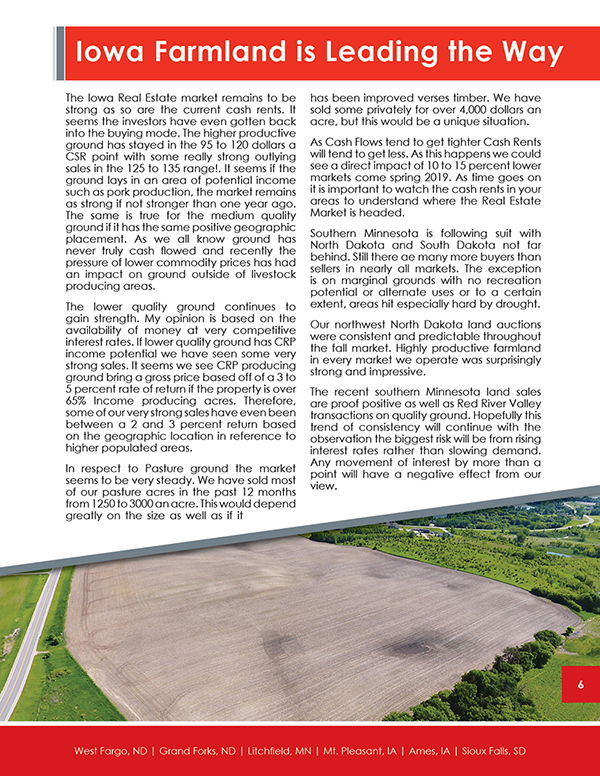 During this short 5-minute read, we hope you will find the information valuable or enlightening as it relates to your farming operation or future business decisions. 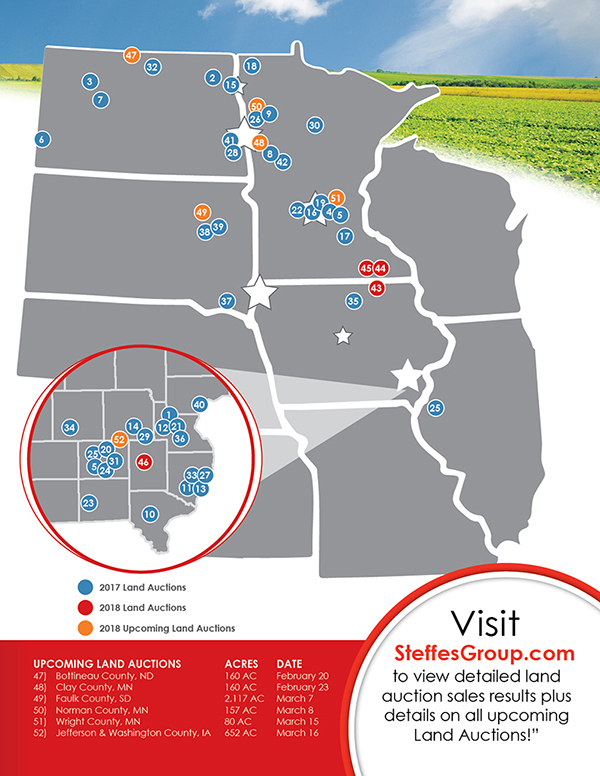 As always, if you have questions from any of us at the Steffes Group about the "Land and the Equipment to Farm It", please don't hesitate to contact our offices. 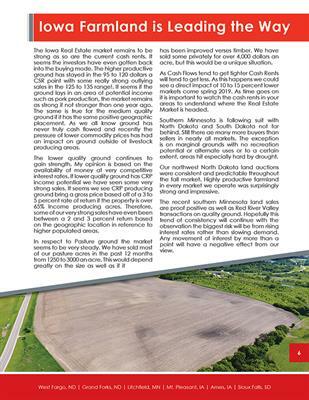 To receive a hard copy by mail, please email or call us with your mailing address.